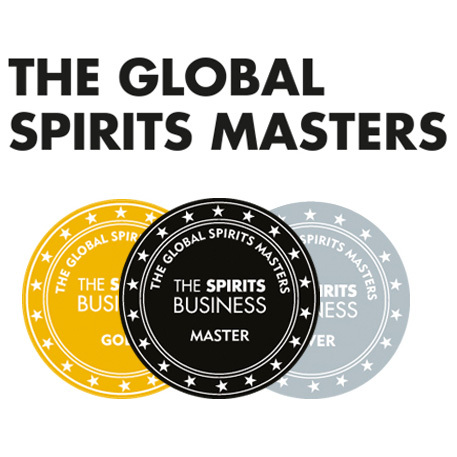 SMWS & Edinburgh Whisky Blog offer! What a night we had the other night! Olaf and Helen invited us down to the Scotch Malt to try the November out-turn and my, they have been busy! 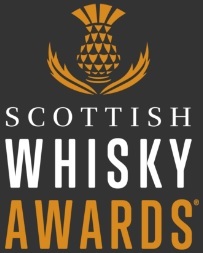 Young whisky, old whisky, unusual whisky and controversial whisky. I shouldn’t expect anything else really! Oh and some really good news! I am going to write up my tasting notes for the most interesting whiskies of the night, but I thought I would get the good news out first. 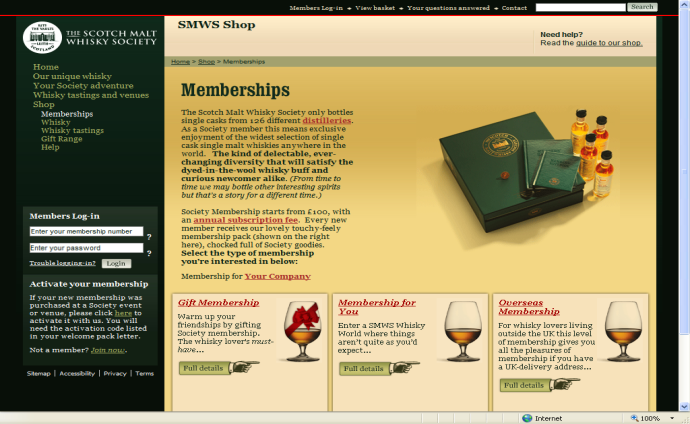 Edinburgh Whisky Blog readers (you handsome bunch) have been made an offer you really shouldn’t refuse. If you sign up for membership with the Scotch Malt Whisky Society using the instructions below, not only do you get your membership pack with a selection of 20cl sample bottles but you will also get a gift of a 22 year old Highland Single Malt that Lucas and I chose for you. How awesome is that!? The nose had elements of putty, plasticine and poster paints, then perfumes of honeysuckle, jasmine, fern and sweet dessert wine. It also boasted sweetness (toffee, poached pears, sponge fingers, vanilla, crystallised flowers on cake) and distant smoke. The palate was floral (honeysuckle, lilies), with peach stones, cold tea and tarragon, yet with reverberating heat. The second nose, still floral, perfumed and sweet, had hints of peach, honey and euthymol toothpaste. The delicious peaches and honey combination persisted into the reduced palate, along with salty ham and mustard. A rich and rewarding dram from the distillery near a hammer shaped hill. 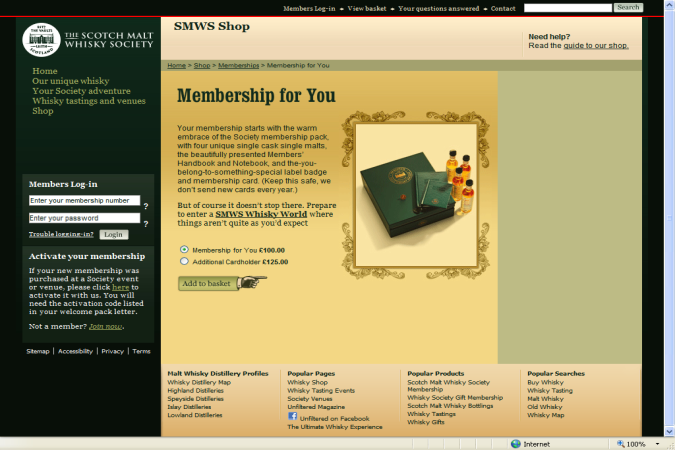 Click on the ‘Join now’ button, this will open the membership page where you can select which SMWS membership you would like. Click on ‘Full details’. 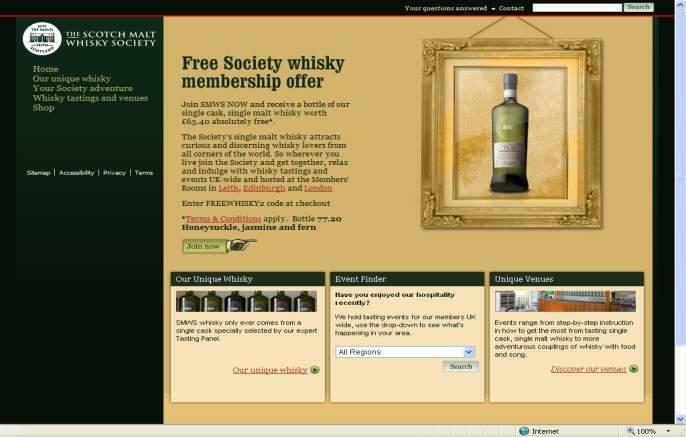 Basket page: Enter ‘FREEWHISKY2′ into the promotional code box, click the ‘redeem’ button and a bottle of 77.20 will appear in the user’s basket for free. 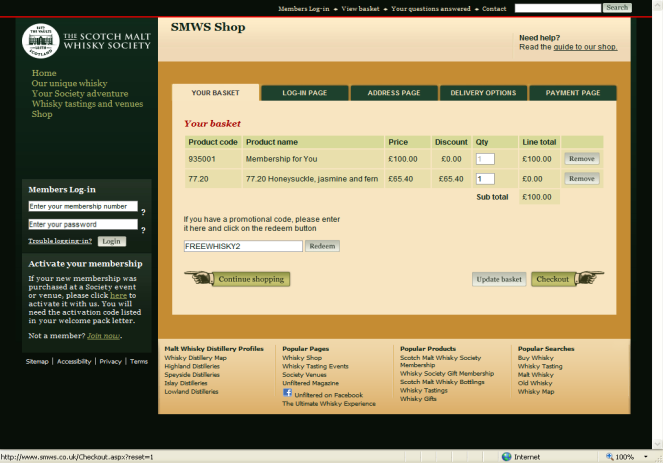 You should then click on the ‘checkout’ button and continue with the rest of the registration process. We would love to hear if you sign up and how your society experience is. Please ping us an email with your thoughts. We always like to hear how you folks are doing. This entry was posted	on Tuesday, November 16th, 2010 at 12:21 pm	and is filed under Miscellaneous. You can follow any responses to this entry through the RSS 2.0 feed. Responses are currently closed, but you can trackback from your own site.